Tanzanite stones are graded using the “Tanzanite Quality Scale,” an internationally recognized system that accurately describes a stone’s color and quality, assuring you of the quality and authenticity of your Tanzanite. Similar to diamond, Tanzanite is graded according to the 4 C’s: Colour, Clarity, Cut and carat weight. The higher the combination of these Tanzanite properties, the rarer and more valuable the stone. Whether the gem is being offered to consumers at a traditional jewelry store counter, an internet shopping site or on a television broadcast, the journey always involves a great deal of effort. Countless hours of labor is needed for a gem to reach customers from the mine. One very small area of land at the foothills of Mount Kilimanjaro provides the location for the world’s only source of this alluring stone. Tanzania, a country rich in folklore, boasts an ancient story that the local Maasai saw a bolt of lightning come down from the sky and strike all the rocks on the ground turning them to a shimmering blue – Tanzanite. Tanzanite is commercially mined in only one small area in the Mererani (or Merelani) Hills in Northern Tanzania, at the foothills of Mt Kilimanjaro. Originally, Tanzanite could easily be collected on the surface, but this scavenger mining quickly gave way to pits and now tunnels, some of which extend hundreds of meters beneath the surface. It takes years of training to cut Tanzanite to the point that it can be certified as an ‘excellent cut’, where the stone reflects maximum brilliance. The process of cutting plays a crucial role in displaying the true colours of the gemstone and due to its ability to show either blue or violet from different angles the cutting direction determines the gem’s overall face-up colour. Once the stone is cut and polished it has to be laboratory graded to determine its quality. The Tanzanite Experience Museum is also home to the Tanzanite Laboratory where all the gemstones are expertly assessed before being made available for purchase. How hard is the Tanzanite gemstone? Based on the Moh’s scale of hardness, Tanzanite is 6.5-7 which means it is a slightly soft gemstone, the same as Emerald but less brittle, and therefore needs to be treated with care. Diamond is the hardest gemstone, scoring a 10 on the scale. How do I clean my Tanzanite jewellery? Do not use jewellery cleaner as the chemicals will be too harsh for the Tanzanite. Instead clean it gently with a soft toothbrush using warm soapy water and dry with a soft cloth. Avoid ultrasonic cleaning. Why is Tanzanite called a single generation gemstone? With just a single source and limited supply, it is believed that with the current mining rate, only somewhere between 15-20 more years of Tanzanite in the ground are left. Ultimately, this indicates that beyond our present generation there will be no more Tanzanite thus those purchasing today are the last of first-time buyers of this precious gemstone. Is a blue Tanzanite more expensive than violet? Whether a Tanzanite is a blue or violet stone is determined by which axis the face of the stone is cut as you can see both colours when you turn the stone around. As it is the same stone there is no difference between the value of one over the other. It is purely down to personal preference. It should be assumed that all Tanzanite purchases have been gently heated, with the exception of some stones that were found close to the surface in the early days of discovery. These stones were a gem-quality blue without the need for heat treatment as they had already naturally been exposed to heat in the likely form of volcanic activity or bush fires. Today’s gentle heating process is merely a continuation on what Mother Nature began. Tanzanite is a variety of Zoisite of which the colour is caused by vanadium in the gem, that when cut and polished, becomes a dazzling kaleidoscope of royal blue, indigo and periwinkle. Gem Zoisite crystals with other minerals inside, say manganese, chrome or iron, cause the human eye to see other colours and these are referred to as Fancy Stones. Fancy Stones are found in many colours and colour combinations as in green, pink, brown, yellow, violet/blue and violet green. This stone is extremely rare as they are only found sporadically in very small quantities, with pink being amongst the rarest and highly sort after by gem collectors. How did Tanzanite get its name? New York’s celebrated Jewelers, Tiffany & Co, heard about the discovery in Tanzania and were the first to bring the dazzling new gemstone to the world. They christened the new find “tanzanite” after its’ country of origin, declaring it to be the most beautiful blue stone to be discovered in over 2000 years. They proudly stated that tanzanite could only be found in two places on earth, and that is in Tanzania and in Tiffany’s. Should I choose a blue or a violet tanzanite? Selecting the color of your tanzanite is a matter of personal preference. The bluest hues are among the rarest, but tanzanite in all shades, from flattering lilac and cornflower blue to deep blue, indigo and violet, continue to enchant discerning jewelry buyers seeking exceptional beauty and distinction. How do I care for my Tanzanite purchase? Like all precious gemstones, tanzanite should be treated with care to preserve its beauty and value. You can read more about this in our Tanzanite buying Guide. Ultrasonic cleaning and abrasive cleaning solutions should be avoided. Tanzanite should be cleaned using a small, soft brush and warm, slightly soapy water. 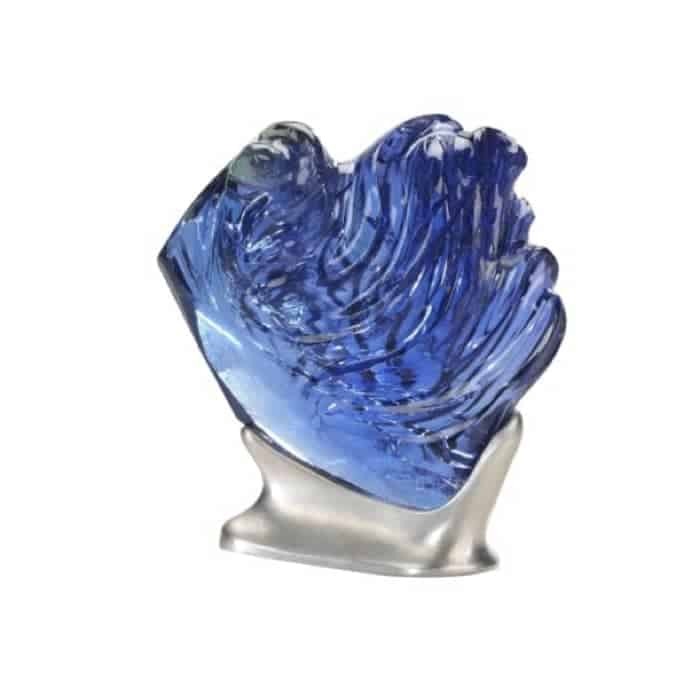 Gently clean the upper and underside of the tanzanite, and dry carefully with a soft, clean cloth. Tanzanite should not be exposed to sudden extremes of temperature and should be stored in a protective pouch or box separately from other jewelry. When jewelry is being altered or repaired, the tanzanite should be removed from its setting beforehand. When will the supply of tanzanite be depleted? Is Tanzanite a precious gemstone? Absolutely! Traditionally, a gemstone must have three important traits to be classified as precious: beauty, rarity and durability. Tanzanite possesses both beauty and durability, and is more than one thousand times rarer than a diamond. Tanzanite is therefore precious in every sense of the word. Why is tanzanite popular among many jewel fans? One of Tanzanite’s properties is that it has a similar hardness to an emerald, but is less brittle. In order to preserve its beauty, simple precautions should be taken, such as avoiding wearing tanzanite during activities that inflict excessive wear and tear. Tanzanite is ideally suited for occasion wear in dress rings, earrings, and necklaces. What is the process from mining to customers? A fact about Tanzanite is that the price fluctuates based on local laws. For instance, New Tanzanian laws are attempting to restrict the export of rough tanzanite crystals over 1 gram, which will encourage the development of local cutting factories, enabling the Tanzanian people to be more involved in the ‘mine-to-market’ flow of tanzanite. Is Tanzanite found in another part of the world? How do I know my tanzanite is genuine? Tanzanite should be purchased from a reputable dealer and/or should be graded in a laboratory. All tanzanite gemstones purchased from The Tanzanite Experience some with their own laboratory certificate from The Tanzanite Laboratory. Why was it the birthstone of December? Tanzanite is the birthstone for December. In 2002, the AGTA (American Gem Trade Association) added to its’ list of birthstones that had been unchanged since 1912. They announced that Tanzanite is the birthstone for the month of December. But irrespective of their month of birth, Tanzania’s Maasai women are honored with blue and violet beads when they are blessed with childbirth – this bestows upon their children a healthy and prosperous life. So, following in this tradition, the gift of tanzanite on the birth of a bay uniquely symbolizes new beginnings and pays tribute to those who have shown the greatest of loves by becoming a parent. How can I buy duty-free Tanzanite? All our Tanzanite Experience stores offer duty-free shopping. Please note that you will be required to produce your passport and this offer is only applicable to non-Tanzanians. To commemorate their 175th anniversary Tiffany & Co created this necklace to showcase the rare and previous Tanzanite. The 178.07-carat tanzanite is complemented by a cascade of 75.77 carate of diamonds. 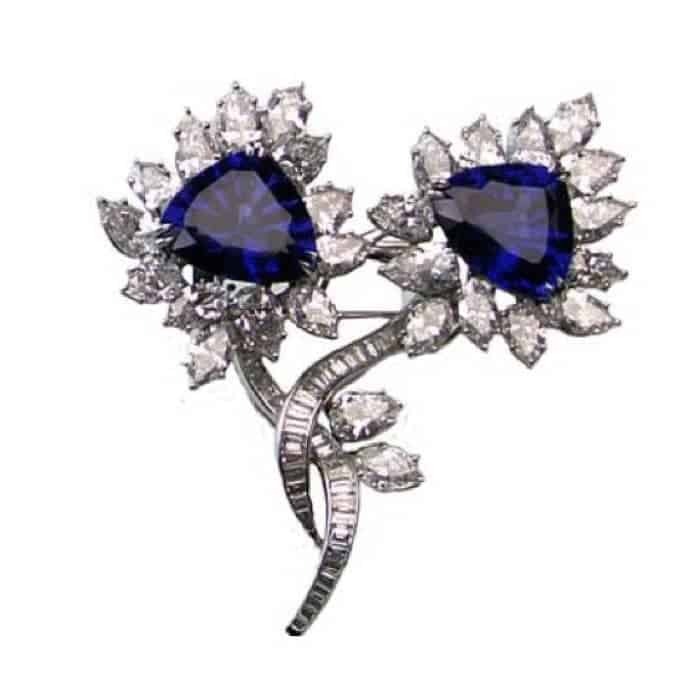 This piece is set with a matched pair of tanzanite’s weighing 30 carats, which can also be worn as earrings. It is part of the collection of the Smithsonian National Museum of Natural History in the US. At 725 ct, L’Heure Bleu is the world’s largest, top-color, natural, unheated tanzanite carving. This extraordinary carving was awarded First Place in Gem Carving from the American Gem Trade Association. Weighing in at 16,839 carats. 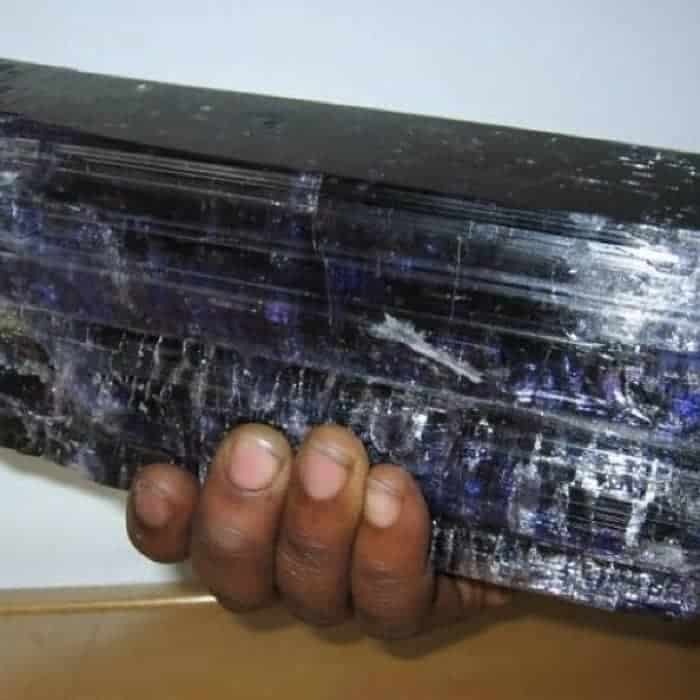 (Well over six pounds) and measuring 8.6 inches x 3.15 inches x 2.8 inches, this rough Tanzanite piece is impressive in both size and structure. According to known records, it’s the world’s largest single piece of Tanzanite to have ever been mined. One very small area of land at the foothills of Mount Kilimanjaro provides the location for the world’s only source of this alluring stone. Tanzania, a country rich in folklore, boasts an ancient story that the local Maasai saw a bolt of lightning come down from the sky and strike all the rocks on the ground turning them to a shimmering blue – Tanzanite. This may be folklore, but the story of Tanzanite is just as exciting as the myth. In an area that is only 14sq kilometers, a geological phenomenon took place over 585 million years ago in what is now known as the Pan-African event. As continents shifted, Mt Kilimanjaro and the Great Rift Valley were created. Minerals far below the surface were compacted in the process, and so Tanzanite was created. Being ‘One thousand times rarer than diamonds’, Tanzanite is often referred to as a ‘single generation’ gemstone, due to its limited supply. Indeed, experts still insist there’s only a million to one chance it will be found elsewhere on the planet. Another fascinating fact is about The Tanzanite properties. One that you should know is that it is a trichroic stone meaning that, in its natural state, it exudes three different colors from three different axes. Blue, violet and burgundy radiate from the rough stone, although once the stone has been gently heated the burgundy recedes and we are left with a blue-violet hue. By 2001 its demand had rocketed so much so that it ranked as the second most favorite colored gemstone in the United States, just behind the sapphire. In recognition of its popularity, the jewellery industry’s official birthstone list was changed in 2002 with Tanzanite added alongside turquoise and zircon as the December birthstone. Quite an achievement when you consider this was the first time since 1912 that the list had been altered! When a Maasai woman has her first child, she is presented with blue robes and blue beads – blue being the symbol of new beginnings. It is thought that in the area where Tanzanite is found, the Maasai used to give Tanzanite as a blue gift. This tradition struck a chord throughout the world, and today Tanzanite is often given as a gift upon the birth of a baby – regardless of where they live. Tanzanite is commercially mined in only one small area in the Mererani (or Merelani) Hills in Northern Tanzania, at the foothills of Mt Kilimanjaro. Originally, Tanzanite could easily be collected on the surface, but scavenger mining quickly gave way to pits and now tunnels, some of which extend hundreds of meters beneath the surface. The Tanzanite Experience has its own mine located in Block D and follows a code of strict ethical mining and best practice. This ensures that the best of the Tanzanite’s properties are preserved. From 1967, an estimated two million carats of Tanzanite were extracted before the mines were nationalized by the Tanzanian government in 1971. In June 2003, the Tanzanian government introduced legislation banning the export of unprocessed Tanzanite to India (like many gemstones, most Tanzanite was being cut in Jaipur). The ban was an attempt to encourage development of local skills in order to boost the economy. In 2010, the government of Tanzania banned the export of rough stones weighing more than one gram. It takes years of training to cut Tanzanite to the point that it can be certified as an ‘excellent cut’, where the stone reflects light to create maximum brilliance. The process of cutting plays a crucial role in displaying the true colors of the gemstone and due to its ability to show either blue or violet from different angles the cutting direction determines the gem’s overall face-up colour. One of tanzanite’s properties is that, a rough piece of Tanzanite on average only yields 25% of usable material so there is enormous pressure on the cutter to ensure that he can maximize return by choosing the best shape, whether that be a simple cabochon, or a more elaborate trilliant or a princess cut. First, the stones are mounted onto ‘dop sticks’ and then the facets are cut and polished over the entire surface of the stone using a highly- symmetrical pattern. The dop stick is inserted into a handpiece that allows precise control over the positioning and the facets are then ground, sanded and polished on a rotating lap containing ground diamond, while water acts as a coolant. When one side (top or bottom) of the stone is finished the stone is then transferred to another dop stick, and the process repeated on the other. Once the stone is cut and polished it has to be laboratory graded to determine its quality. The Tanzanite Experience Museum is also home to the Tanzanite Laboratory where all the gemstones are expertly assessed before being made available for purchase. The Tanzanite properties are tested to ensure that only the best are made available to the public. The grading is done based on the 4C principle, in the same way, that diamonds are graded. The color, cut, clarity and carat weight of the individual stone is taken into consideration, and the result recorded on to a unique certificate which accompanies the stone. The greater the combination of the 4Cs, the higher the quality and corresponding price of the Tanzanite. See Buyers Guide for more information.